The letter U with an arrow going through it! 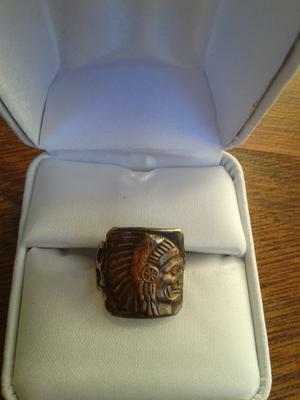 I have a vintage native american indian head ring. I believe it to be copper or brass. It is marked made in usa and has the hallmark U with an arrow through it? Please help!